Mannequins are essentially ZSphere armatures. The way that you interact with them allows for easy posing, so that you can quickly explore your ideas – faster, in fact, than sketching a concept image and with far greater flexibility for change as you go. The great thing about using Mannequins is that you don’t have to model anything; the model is already set up and ready to go. Later on, if you need to you can skin the Mannequin to make a mesh that you can sculpt. 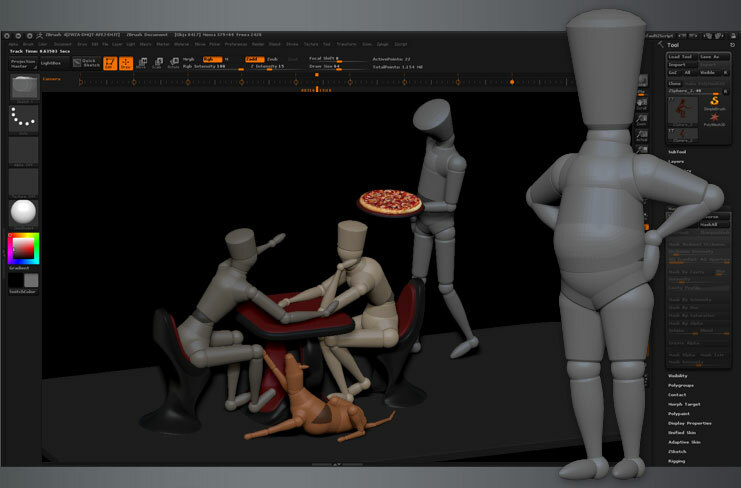 Several Mannequin scenes are included with ZBrush. It is also simple to create your own to infinitely expand your library.